The former travel agent from South London, began djing back in the mid 80’s. What started as a hobby playing at a small club called Zigis, inevitably became a much loved career for Trevor, when due to his superb mixing ability and love of music, he was rewarded with a residency at ‘Troll’ club in London. When Carl Cox started up his Ultimate DJ agency, Trevor was the first to be signed up, from this point on there was no looking back. With a passion to entertain and educate, Trevor went on to gain djing spots at two of the best Techno nights in London: ‘Garage’ and ‘Trade’, both of which have Trevor to thank, in part, for their success. His djing ability has taken him all over England and across Ireland, to djing around the world in places such as Australia, New Zealand Portugal and Prague, in popular clubs such as the Rex(Paris), Dorrien Gray/Tresor(Germany), Industry(Canada), Twilo(New York), Fuse(Belgium), including the well known raves, Dance Valley(Holland), Dance Planet, Tribal Gathering, Homelands, Love Parade Berlin and Leeds ………… 1998 saw Trevor become resident at the ever-popular Ultimate Base club in London, along with Carl Cox and Jim Masters. Following a short lull in production, after his acclaimed ‘Visions of You’, Update’s ‘ Techno Tune of the week’ on Ultimatum trax, Trevor has returned with an inexorable drive. 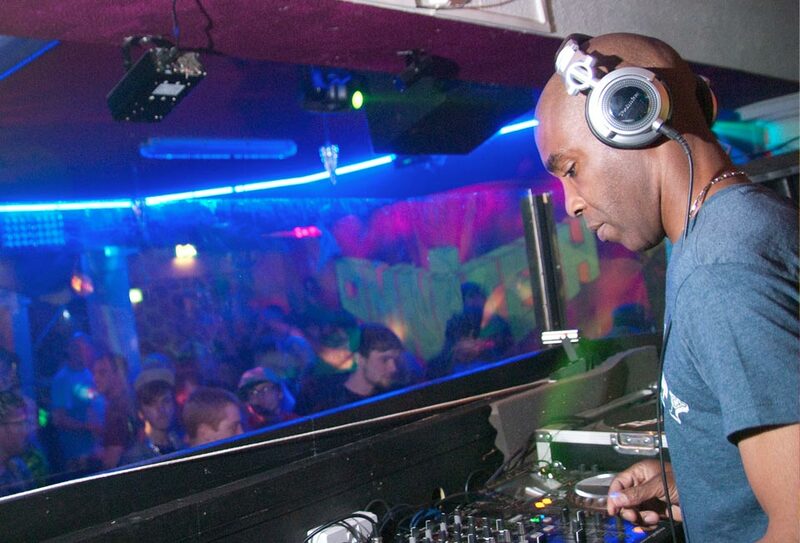 He has recently produced phenomenal E.P’s for the likes of Bush: Wax ‘Single of the Month’(‘Let’s Get Together’), Primary Records, Primevil, Dark House Music (‘Move That Body’), Christian Smith’s Strive and Carl Cox’s In-Tec label, with one of the most sought after tracks for the Y2k ‘Definition of Love’. Not forgetting his quality remixes for Ultimatum Trax (DJ Dan ‘Needle Damage’), Duty Free Records (Baby blue ‘Too Loud’) and Neo Records (‘White Treble, Black Bass’). September 2000 saw the launch of Trevor’s own label MENTOR Records, with the first excellent release ‘A Sound Called House’, gaining rave reviews. Earning the title of ‘One of the funkiest techno DJs’ you have certainly not heard the last of him, this is just the beginning!